Looks like Google wants to help people with their new Nexus phones as much as possible. 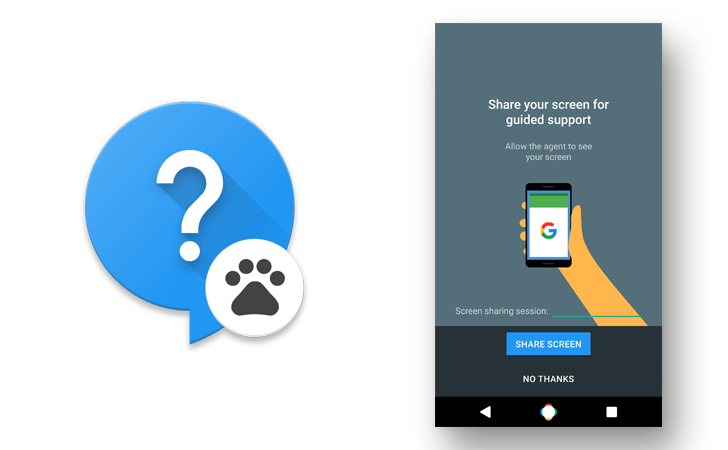 A report from Android Police suggests Google is working on a live support app for the Nexus series that will use screen sharing. The app is called “Google Support,” and it’s basically aimed at quickly and easily getting people help with their phones, something that could seriously be sped up with screen sharing, which will allow whoever is helping the user to see everything that’s going on. Apart from the screen-sharing feature, not much is known about the app. The app is currently in dogfooding mode, which means its still in development and it will be quite a while before it’s ready for mainstream use. It’s unknown if Google is hoping to release the app on the new Nexus phones for this year, or if it’s under development for future years. Of course, it’s also unknown exactly when the next generation of Nexus phones will be released. If Google sticks with its previous upgrade cycle, the new phones will be announced sometime around September or October, then released around late October or early November — in time for the holiday season. Plenty of rumors and leaks have surfaced about the phones, including that HTC will build one of them and that Huawei may build another. It’s possible that this new app has something to do with Google wanting to make Nexus devices stand out a little more. During an interview at Code conference, Google CEO Sundar Pichai said that Google was going to be “more opinionated” and put “more thought” into Nexus smartphones, which could mean anything, but may mean that Google will start creating apps and services for Nexus devices that do not appear on other stock Android phones.